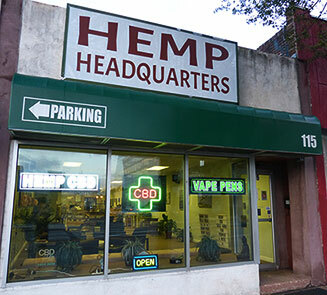 Hemp Headquarters is a brick & mortar retail store located in Willow Grove, Pennsylvania, USA that specializes in CBD and hemp products. This is our online shopping site and we ship to all 50 states in the USA. Hemp is an amazing plant. Traditionally, hemp has been used as food and fiber. Now, with today's modern technology, hemp can heal. The extraction and concentration of CBD (cannabidiol) has the potential to usher in a new era of natural healing for everyone. Everyone can use hemp. Hemp is safe, non-toxic and natural. No genetically modified version of hemp exists. Hemp grows best when it is cultivated cleanly and organically. Our mission at Hemp Headquarters is to serve as a fulcrum as our society moves past "reefer madness" and begins to reestablish a relationship with one of the most useful plants in the world. We believe that our society needs to reconnect with the planet and use hemp. Hemp is a superfood. Hemp is clothing. Hemp can be a building material and plastic. Hemp penetrates the skin making it an excellent moisturizer, lip balm, soap and shampoo. Hemp fiber is tough and strong and makes for great bags and jewelry. And on top of all this, hemp is completely ecoconscious and biodegradable. It is not an exaggeration to say that hemp can save our planet. The ability to extract CBD from hemp is an exciting new development. Working with product manufacturers that create clean, consistent and professional products, Hemp Headquarters wants to make this natural healing product available to everyone. CBD has proven anti-inflammatory, analgesic and anti-anxiety properties and is safe for people and pets of all ages. However, CBD is not a pharmaceutical that only focuses on one specific function. When using CBD, you get all its properties at once, nothing is separated out. Hemp CBD provides holistic healing for the body and the mind. Man has always pondered about his relationship to the natural world. Hemp is an organic link to the planet which gives us life. We believe that our nation needs to find natural alternatives to solve our current and future wants and needs. We promise our customers to only offer for sale products we feel are of high quality and honestly presented for a fair price. At Hemp Headquarters we carefully vet our vendors to make sure they are producing products that are safe and portrayed accurately on the packaging. Trust is important and we only work with manufacturers we feel are providing the public with excellent quality merchandise. In any industry there are some "bad actors" out there. We know who they are and will not stock their products. We want our customers to be happy with their purchases and we want them to work! A poor quality product does not further our goal of legitimizing the hemp industry. 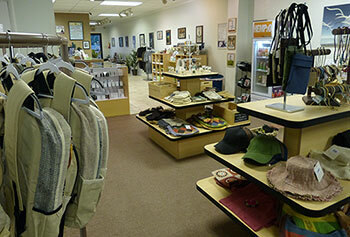 We feel that quality and safety are the two most important features of the merchandise at our store. We have been earning the trust of our customers since 2014 and plan on continuing our strong commitment to the community into the future. The owner of Hemp Headquarters is Ron Kaufman, a former journalist and teacher. During the early 1990s, Ron worked as a journalist covering scientific, defense and energy topics for newsletter publications in Philadelphia and Washington DC. In the late 1990s, Ron become an educator in the School District of Philadelphia. In 18 years as an appointed Computer Science teacher, Ron taught every grade level (K-12) in addition to earning a Master's Degree in Education and Principal's Certification. In 2014, Ron left teaching to pursue his passion of running his own business. 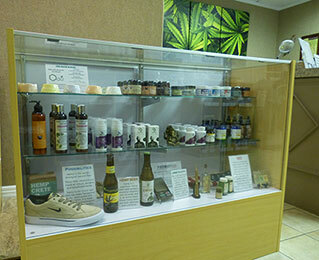 Ron opened Independence Vapors, a vaporizer retail store, to focus on helping smokers switch to vaporization technology. Science shows that vaping is much safer than smoking; in addition to the elimination of secondhand smoke exposure. 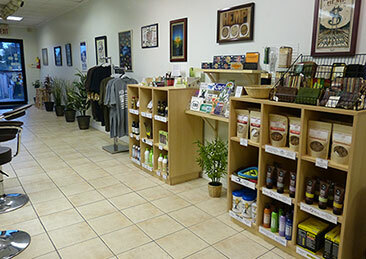 The name and focus of the store changed in 2017 and Hemp Headquarters was launched in order to bring the amazing benefits of using non-psychoactive hemp (Cannabis sativa) to the community. "Whether is was being a journalist, teacher or business owner I have always been focused on improving people's lives," says Ron. "It has always been important to me to feel good about and take pride in my work. The common thread throughout my career . . . from writing to teaching to selling vaporizers and now hemp . . . is definitely part self actualization, but also to hopefully help others improve themselves as well. Knowledge, education and lifestyle choices are all connected and my sincere hope is that my endeavors will bring about a happier and more peaceful world."